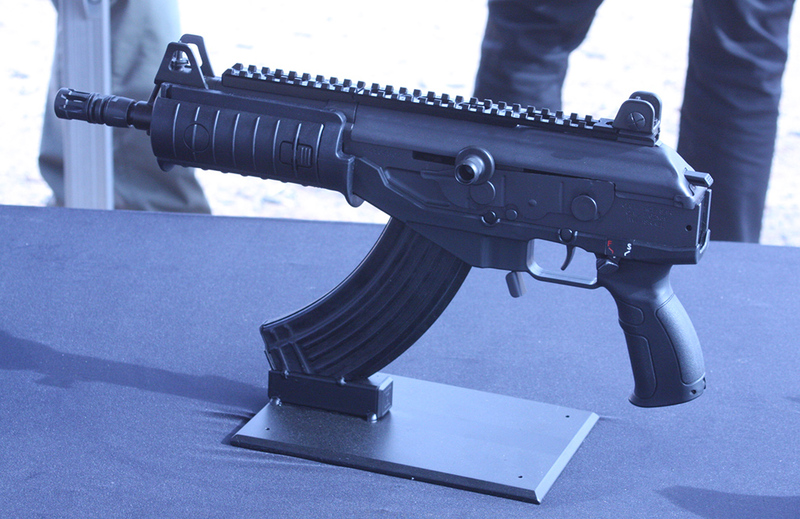 IWI announced several months ago that the Galil ACE would be coming in 2015. 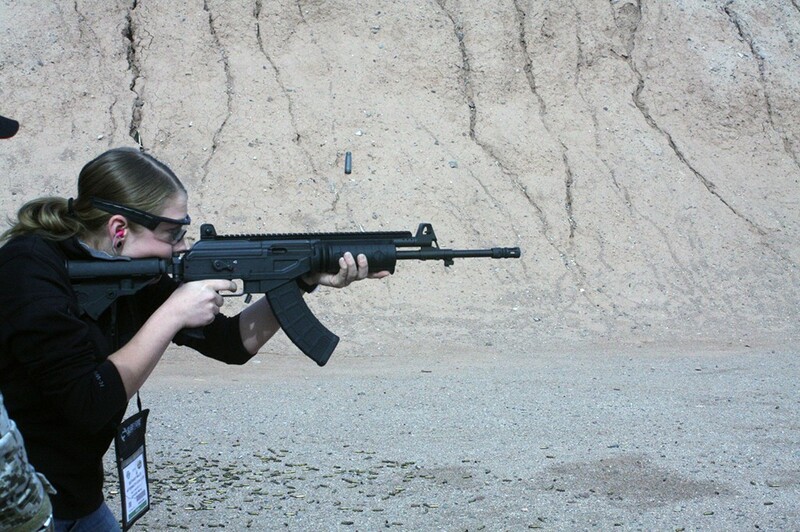 True to their hints to my questions at SHOT Show 2014, the Galil was in the works for importation. As you can see it uses AK magazines and what else can really be said here? 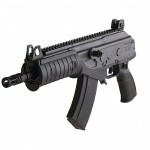 We’ve wanted the Tavor, we FINALLY got it, we wanted the Galil ACE, and we are getting it. Five years ago these were items we thought we’d never see. 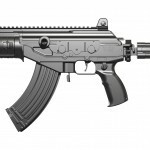 The new catalog points out the Galil hasn’t been imported in almost 25 years. This is amazing. GunDoll with a casing in the air. The reciprocating charging handle has been moved to the right-side, the ACE is lighter than the original models, the rails are built in to the forearm (what is shown is a removable cover), and a front sight tritium post. 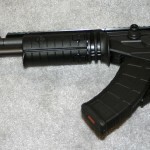 The stock is right-side folding as well as collapsing, and the comb (cheek-riser) is removable on all rifle models. The ACE can be fired with the stock folded. 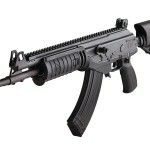 The Galil ACE 7.62x51mm will be coming in before the 5.56mm version. 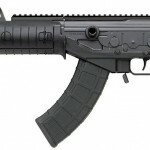 The rifle is listed as being “7.62 NATO” (.308 chamber unconfirmed) and will be available in late summer of 2015 as an 11.8″ barreled pistol, pistol with folding brace, and as a rifle with 16″, 18″, or 20″ barrels available. 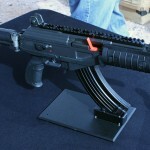 The 7.62 NATO model will use the magazines. 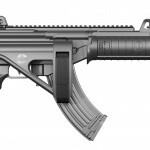 This is great for standardization but probably a disappointment to existing Galil .308 owners hoping for more magazines being available on the market. Other IWI USA news includes the importation of the Uzi Pro pistol, and the return of the Jericho pistol. The Negev will be imported for LE/Military sales. 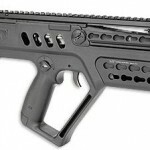 IWI US is asking users on Facebook if they prefer .. 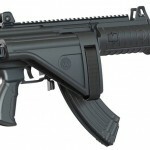 Yesterday IWI wouldn't give MSRP on the Galil ACE rifles .. Yesterday the wrong MSRP for the new Galil ACE Pistol .. Here are some examples of KeyMod's on other weapons. Barrett 98B .. 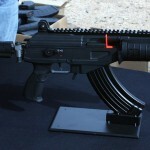 The Uzi Pro pistols were announced last year, 100 were ..